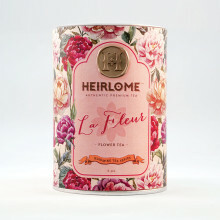 Heirlome bountiful collection of blooming teas will tantalize the eyes as well as the taste buds. 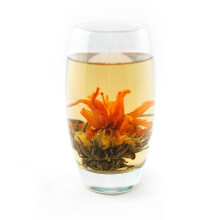 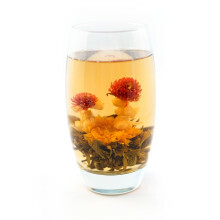 Heirlome flowering teas are handmade especially using only the freshest tea and the best quality dried flowers; such as Globe Amaranth, Marigold, Lily, Jasmine, Osmanhtus and Carnation Flower. The leaves are skilfully hand-tied around the dried flowers so each one is a hand-crafted piece of art. They should be brewed directly in a tall clear glass or glass teapot, so you can enjoy both the taste and the artistic display. 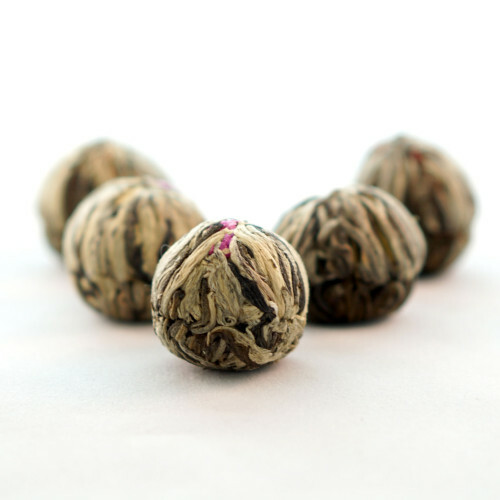 While brewing the flower tea, you will see they are very charming and attractive. 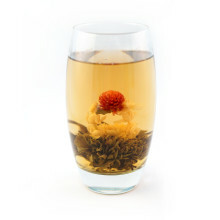 You can not only enjoy the delicacy of tea and mellowness of flowers, but also can appreciate the sense of beauty.